Linda Lantieri, MA has always considered it a great blessing that her occupation and her vocation have coincided – her professional life has also been her inner calling. She has been in the field of education for over 45 years in a variety of capacities: classroom teacher, assistant principal, director of a middle school in East Harlem, and faculty member at Hunter College in New York City. She is a Fulbright Scholar and internationally known speaker in the areas of Social and Emotional Learning and Mindfulness in Education. Linda is one of the co-founders and presently a Senior Program Advisor for the Collaborative for Academic, Social and Emotional Learning (CASEL). She is also an Adjunct Assistant Professor at Columbia University, Teachers College teaching in a special Master’s Degree Program through the Spirituality Mind Body Institute. For the past 15 years she served as the Founding Director of The Inner Resilience Program whose mission is to cultivate the inner lives of students, teachers and schools by integrating social and emotional learning with contemplative practice. Linda is the author of numerous articles and book chapters and coauthor of Waging Peace in Our Schools (Beacon Press, 1996) editor of Schools with Spirit: Nurturing the Inner Lives of Children and Teachers (Beacon Press, 2001), and author of Building Emotional Intelligence: Practices to Cultivate Inner Resilience in Children (Sounds True, 2008, 2014). Daniel Rechtshaffen, MA, LMFT, is the author of The Way of Mindful Education and The Mindful Education Workbook. He organizes the annual Mindfulness in Education Conference and Teacher Training at the Omega Institute. Daniel offers keynote speeches and mindfulness trainings at conferences, schools, communities, and businesses, such as University of Wisconsin Madison, Google, Esalen Institute, and schools around the globe. Daniel teaches mindfulness through music, sports, storytelling, games and other creative and engaging ways. He is inspired to utilize mindfulness to help us become more conscious, compassionate, and committed to taking care of this miraculous world we live in. He is also the director of the Mindful Education Online Training, a mindfulness and social emotional learning platform for educators. 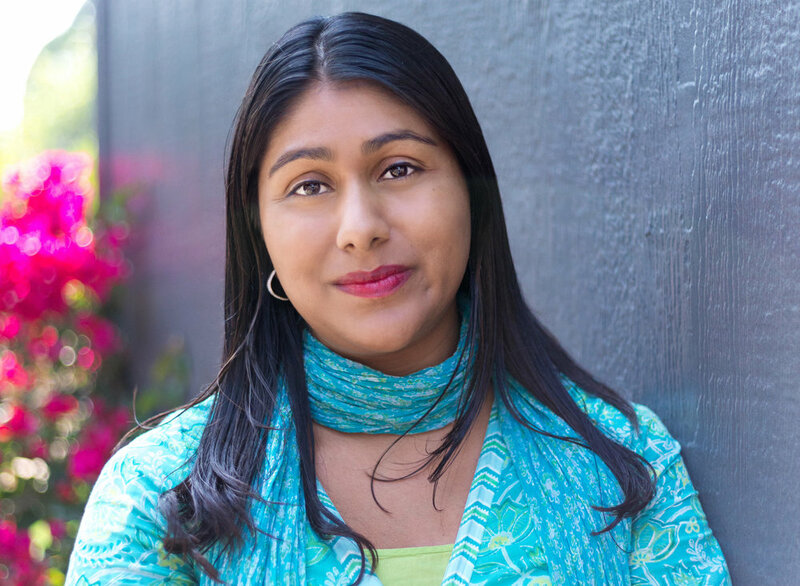 Meena Srinivasan, MA, NBCT, is an educator, writer and innovator who's been teaching and leading with an equity focus in the fields of Social and Emotional Learning (SEL) and Mindful Awareness Practices (MAP) for over 15 years. Her book, Teach, Breathe, Learn: Mindfulness In and Out of the Classroom (Parallax Press, 2014) was featured on Edutopia and has received endorsements including ones from Congressman Tim Ryan and Nobel Peace Prize Nominee, Thich Nhat Hanh. Meena is completing her sixth year of working in partnership with the Collaborative for Academic, Social and Emotional Learning (CASEL) to implement SEL system-wide in the Oakland Unified School District. She is a contributor to the upcoming SEL Solutions Series (Norton, 2019) on integrating SEL into instruction for middle and high schools, served on the Board of Directors of the Mindfulness in Education Network, was core faculty for the Mindful Education Institute, and served on the Advisory Board of the San Francisco Asian Art Museum’s exhibit, Yoga: The Art of Transformation, the world's first major exhibition exploring yoga. She spent five years living in India studying contemplative practices, trained to teach Mindfulness Based Stress Reduction (MBSR) at UMASS Medical School's Stress Reduction Clinic, and is a recipient of the 2014 Hemera Foundation Contemplative Education Fellowship. Meena is a National Board Certified Teacher and holds a clear administrative services credential with the State of California.